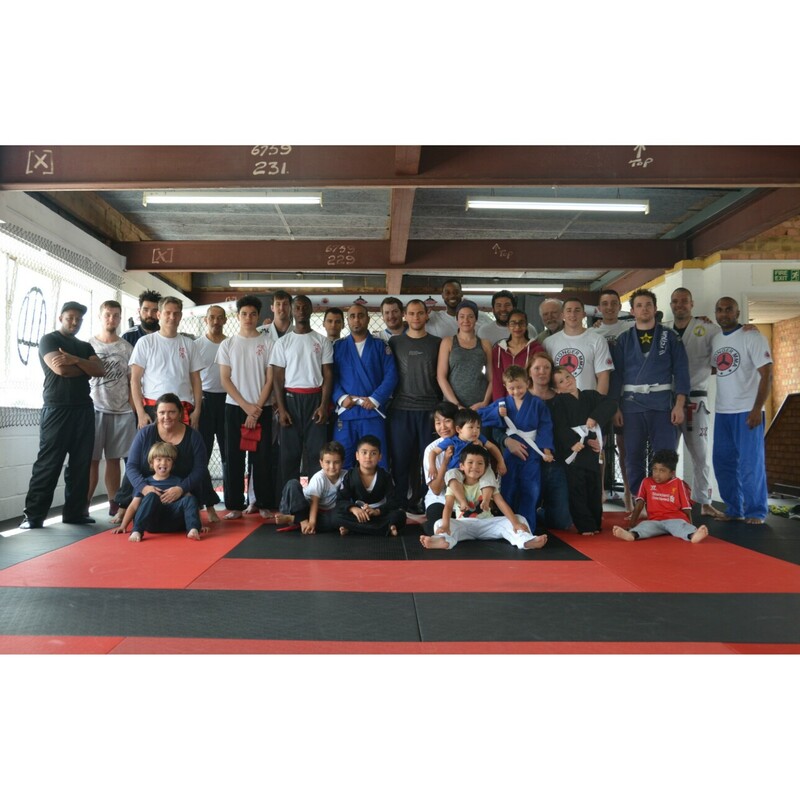 http://www.strongerfitnessandmartialarts.co.uk/wp-content/uploads/2016/07/WhiteLogo.png 0 0 Rico Romero http://www.strongerfitnessandmartialarts.co.uk/wp-content/uploads/2016/07/WhiteLogo.png Rico Romero2015-11-07 00:33:432016-03-17 19:36:11Pre-sparring takedown drills. Alex and Krys sparring highlights. http://www.strongerfitnessandmartialarts.co.uk/wp-content/uploads/2016/07/WhiteLogo.png 0 0 Rico Romero http://www.strongerfitnessandmartialarts.co.uk/wp-content/uploads/2016/07/WhiteLogo.png Rico Romero2015-11-03 08:32:002016-03-17 19:36:18Alex and Krys sparring highlights. Massive thanks to everybody who turned out for another successful open morning on the 19th September! We had the opportunity to show the public what we do and we managed to generate lots of interest and some new members. The work continues to attract further members, build a strong team and develop the gym. The next event will be happening soon! http://www.strongerfitnessandmartialarts.co.uk/wp-content/uploads/2016/07/WhiteLogo.png 0 0 Rico Romero http://www.strongerfitnessandmartialarts.co.uk/wp-content/uploads/2016/07/WhiteLogo.png Rico Romero2015-09-25 10:40:572016-03-17 19:35:54Another successful open day! 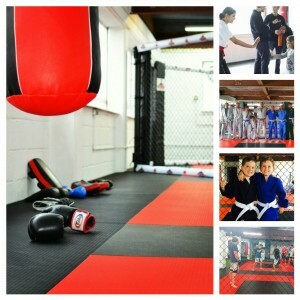 Kids BJJ classes revert to 4.30pm from this week. We accept children from 5 years up to 9 years. Kids 10 years old and over are welcome to attend our BJJ Basics class on Tuesdays and Thursdays at 6pm. This is a short clip of a Phor Kune ‘Tek’ combination as demonstrated by Sifu Devon. It is a martial art that combines punching, kicking, Judo throws, Aikido locks, weapons training and numerous effective self-defence and restraint techniques. Another AWESOME Open Day under our belts! Visitors took advantage of our ‘7 Day FREE Pass’ offer and have been attending classes of their choice at no cost for the entire week! On the day the Kids Grapple &Strike taster class was a huge hit with the children and parents alike. The Kung Fu class was a very successful too with new members joining as a result. 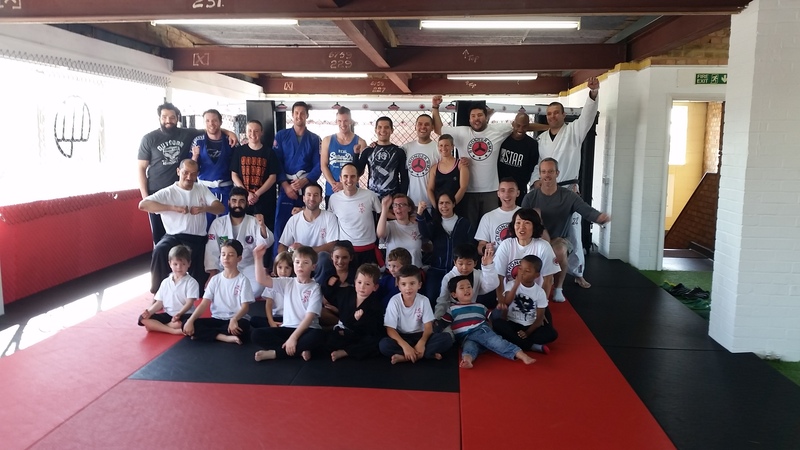 On the mats our Brazilian Jiu Jitsu session ran with current members and visitors alike. A great opportunity for newcomers to experience this incredible martial art! Our next Open Morning is currently in the planning so watch this space and see you there!!! Please note that our ‘Hybrid Fitness’ classes will be running on the 3rd, 5th and 7th of August and then will not resume again until the 28th August. Join us on Saturday 25th July 2015 between 10.00 and 12.00 for a fun open morning! We are holding another event where you can talk to staff, try out free sessions and find out more about what we offer. There will be music, classes and the opportunity to book a further free session in the activity of your choice. http://www.strongerfitnessandmartialarts.co.uk/wp-content/uploads/2016/07/WhiteLogo.png 0 0 Rico Romero http://www.strongerfitnessandmartialarts.co.uk/wp-content/uploads/2016/07/WhiteLogo.png Rico Romero2015-07-06 22:03:452016-03-17 19:39:08July Open Morning! ‘Open Morning!’ Saturday 20th June 2015! Join us this Saturday between 10am and Noon! We will be having an informal ‘Open Morning’ where you will have a chance to see classes in action, talk to staff and try out some activities. We will get going at 10am so feel free to pop in from then. We will be running classes until 12 o’clock. Kids and adults welcome! http://www.strongerfitnessandmartialarts.co.uk/wp-content/uploads/2016/07/WhiteLogo.png 0 0 Rico Romero http://www.strongerfitnessandmartialarts.co.uk/wp-content/uploads/2016/07/WhiteLogo.png Rico Romero2015-06-15 22:27:152016-03-17 19:39:03'Open Morning!' Saturday 20th June 2015!